DIARY OF THE OZZ BAND: Ozzy Osbourne bassist Rudy Sarzo, left, chronicles his rise to fame alongside his former Quiet Riot band mate, Randy Rhoads, third from left, in “Off the Rails.” Sarzo’s firsthand perspective and longstanding friendship with Rhoads offer a new perspective on an already well-documented story. Written as a heartfelt tribute to his dear friend Randy Rhoads rather than a dirt-dishing tell-all of Ozzy Osbourne excess, Rudy Sarzo’s “Off the Rails,” takes a while to build up steam. Fortunately, Rhoads was such a charismatic soul that any insight at all is still treasured like magical dust. Tedious at times due to Sarzo’s painfully detailed, journal-like writing style (and ongoing reminders that he and Rhoads nicknamed each other “Rudes” and “Rand”), the book is not, however, without its rewards – especially in the more poignant pages where the touring Bizzard of Ozz bassist does a fine job of articulating the confusion and grief that followed the 1982 plane crash that killed his former Quiet Riot band mate and on-the-rise Ozzy guitar hero. Among the book’s revelations is an implied fling between Rhoads and Sharon Arden/Osbourne before she was married to Ozzy. Another is Rhoads’ growing frustration at having to play Ozzy’s Black Sabbath encores. Ultimately the Sabbath classics became the songs that broke Rhoads’ back when he reluctantly agreed to record “Speak of the Devil” – a full live album of Sabbath covers – as a bargaining chip to leave Ozzy’s band. That argument, of course, ended with the plane crash. BASSIST OF OZZ: Author Rudy Sarzo didn’t play on “Blizzard of Ozz” or “Diary of a Madman” (despite being pictured on the latter), but did join Ozzy Osbourne in time for the support tours promoting both of the back-to-back albums. 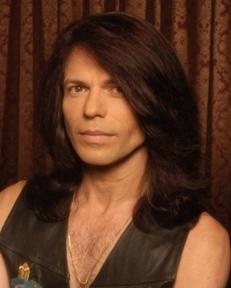 He later returned to Quiet Riot and went on to join Whitesnake, Dio and Blue Oyster Cult, among others. The plane crash that killed Randy Rhoads came within inches of also killing Sarzo, Ozzy, drummer Tommy Aldridge and others. According to Sarzo, Rhoads’ airborne joyride turned into a suicide/murder-mission when the pilot (who was also the band’s bus driver) aimed the plane at the band’s parked tour bus in an attempt to kill his estranged wife who was onboard as part of Osbourne’s entourage. Sarzo contends he still wrestles with the mental images of Rhoads trying to right the plane in a frantic attempt to save Ozzy, Sharon and his Blizzard of Ozz band mates who were all onboard fast asleep. Whether he did or not will never be known, but given the state of the battered tour bus, it’s a miracle more weren’t killed. Heart-wrenching. The hurried process of replacing Rhoads in order to keep Ozzy on the road and his drunken depression at bay, reveals multiple interesting tidbits. Who knew Sarzo’s brother had a lock on Rhoads’ gig until a mix-up at the record label landed Bernie Torme on stage? Or that John Sykes was in the running before he found fame with Whitesnake? Even more bizarre is a coked-up Ozzy insisting that soon-to-be Bullet Boys singer Marq Torien is his next great guitar hero! What? There’s also the backstage US Festival incident in which Ozzy throws a punch at Sarzo for his defection from the Blizzard of Ozz and return to Quiet Riot. Peace has since been restored. 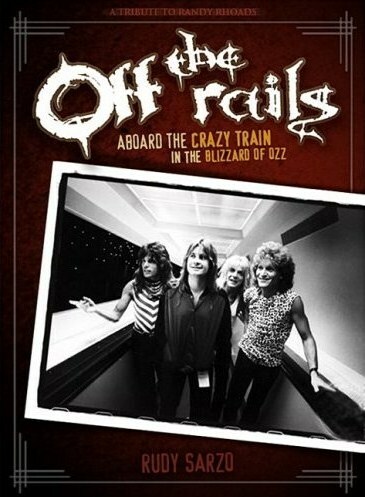 “Off the Rails” is a decent read that captures the fleeting excitement of onstage adulation measured against the thrill-sucking drain of traveling monotony (we’re also reminded of what an absolute circus it must have been dodging death threats in the wake of Ozzy’s then-outrageous stunts involving birds, bats and the Alamo; not to mention the unprecedented heavy metal no-no of shaving his head. Truly crazy for its time). One may find it hard to believe Sarzo so often stopped short of partaking in the debauchery that surely must have come with the Blizzard of Ozz gig, but it’s hard to deny his brotherly glimpse into one of rock’s immortal heroes. For his inspired sincerity and status as one of heavy metal’s most accomplished bassists, Sarzo deserves due credit.